Sears latest earnings report is far from the picture of strength management suggests. The company continues to be in a precarious financial position. 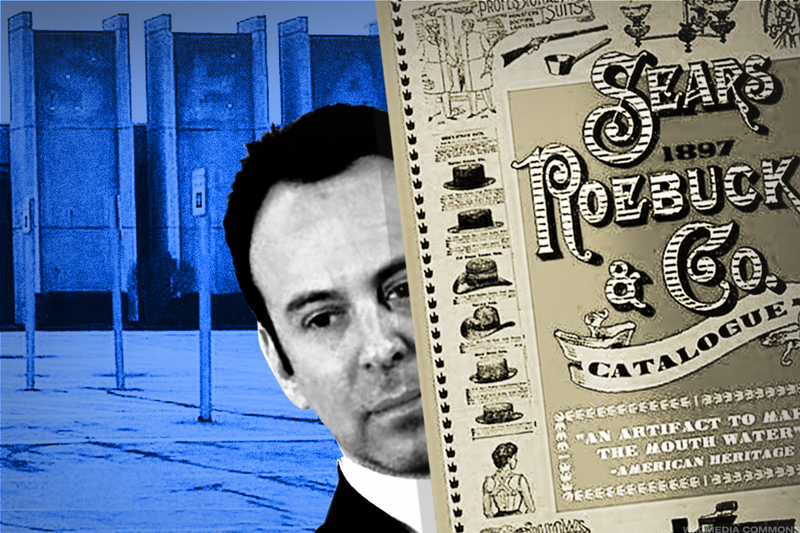 Investors shouldn't buy what Sears (SHLD and money manager CEO Eddie Lampert are hawking in its latest earnings report. Because when you get right down to it, Sears still looks like a zombie retailer begging to finally be put out of its misery. But to the credit of Lampert and his executive team, they do a good job in the company's fourth quarter earnings release Wednesday at sparking hope Sears will stick around. Take note of the highlights section. Expect to report year-over-year Adjusted EBITDA improvement in the first quarter of 2018 as we continue to focus on liquidity required to effectuate our transformation. Net income attributable to Holdings' shareholders was $182 million ($1.69 earnings per diluted share) for the fourth quarter of 2017, which included a non-cash tax benefit of approximately $470 million related to tax reform, as well as a non-cash accounting charge of $72 million related to the impairment of the Sears trade name. This compares to a net loss attributable to Holdings' shareholders of $607 million ($5.67 loss per diluted share) for the prior year fourth quarter, which also included a non-cash accounting charge of $381 million related to the impairment of the Sears trade name. Adjusted EBITDA was $2 million in the fourth quarter of 2017 compared to $(61) million in the prior year fourth quarter. Edward S. Lampert, Chairman and Chief Executive Officer of Holdings, said, "We made progress in 2017, with a return to positive Adjusted EBITDA and another quarter of year-over-year improvement in our financial results. We also took the actions necessary to increase our liquidity and fund our ongoing transformation of the Company. In addition, we entered important partnerships, such as our agreement to sell Kenmore appliances and related services through Amazon, that broaden the reach of our brands. Finally, we continued to enhance our Shop Your Way ecosystem to offer our members more compelling and uniquely tailored value and shopping experiences." Profits during the competitive holiday season. The prospect of more profits in 2018. Well gee-whiz, the Sears transformation is here after 10 years of broken promises by Lampert and the countless executives that have since left the company. Not so fast traders, sorry to burst your bubble before the market opens on Thursday. Buried deep in Sears results is a harsh reminder of how terrible a shape the former retail icon is in and why survival beyond 2018 is not guaranteed. Here are several numbers TheStreet thinks are worthwhile to consider. The effect of mass store closures in recent years continue to take their collective toll on both the Sears and Kmart brands in once loyal communities. Fourth quarter same-store sales at Kmart and Sears cratered 12.2% and 18.1%, respectively. For 2017, same-store sales at Kmart and Sears dived 11.4% and 15.2%, respectively. The Sears and Kmart brands have each delivered falling same-store sales for six straight years, according to Bloomberg data. Gross profit margins for 2017 fell to 21.1% from 21.2% primarily as Sears liquidated inventory at closed stores in a bid to raise cash. Sears' gross profit margins back in the 2009 calendar year were 27.6%, according to Bloomberg data. Inventory plunged 29% to $2.8 billion to close out the fiscal year amid Sears' liquidation sales, but also as it maintained lean positions in many merchandise categories to preserve cash. Cash and equivalents stood at $186 million at fourth quarter end, down from $286 million a year ago. Sears' cash was mostly eaten up by two factors last year: (1) a full year operating loss of $430 million excluding items; (2) $539 million in interest expense. The company managed to secure two more outside sources of cash to buy some time: (1) $100 million real estate loan with JPP, LLC and Lampert's ESL Investments; and (2) $440 million from a combination of secured and mezzanine loans, of which $407 million will go toward its pension plans and relieve Sears from contributions for two years. The hollow inside of Sears' performance in 2017 is of note seeing as Lampert admits his zombie retailer may not be viable if it doesn't "substantially" improve its sales and gross profit performance. "We also recognize that we need to do more if we are to deliver on our commitment to return to profitability in 2018. We will work to build on the progress we made in 2017, including ongoing actions to improve or close unprofitable stores and to unlock the value in our assets. Importantly, to ensure our long-term viability, we must substantially improve our sales and gross margin performance, including adjustments to our business model." Achieving those "substantial" improvements in a world where Walmart (WMT - Get Report) and Target (TGT - Get Report) are aggressively expanding same-day delivery services, J.C. Penney (JCP - Get Report) is opening appliance stores to steal business from Sears, Kohl's (KSS - Get Report) is exploring grocery shops in its stores and Action Alerts Plus holding Amazon (AMZN - Get Report) is willing to sell stuff online for no margin will be virtually impossible for Sears. Proceed at your own risk, bullish traders. Lampert told you in not so many words why the positives in the fourth quarter should largely be ignored. As for you more level-headed investors, a hot deal on a Craftsman lawnmower is likely coming this summer.